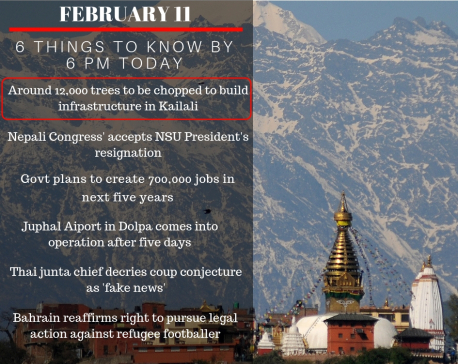 However, there are concerns that the program launched by Prime Minister KP Oli amid much fanfare on Wednesday is short on ideas how to generate employment opportunities in the country, contrary to the government’s claim that this will end the compulsion for youths to go abroad for work. 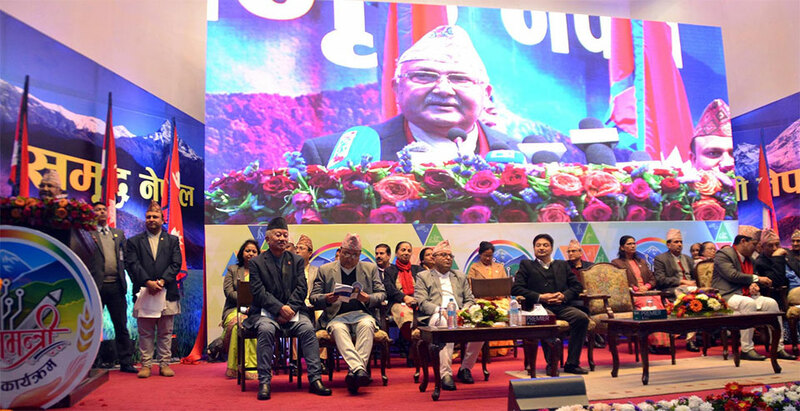 Speaking at the launch of the program, Prime Minister Oli said that unemployment is a big problem associated with poverty and the program aims to bring prosperity to the country. The prime minister also claimed that no Nepali will now have to remain unemployed. Moving a step forward, Minister for Labor, Employment and Social Security Gokarna Bista claimed that the government’s new program will, within five years, end the compulsion of going abroad for employment. But, the government has not clarified how will it generate the massive employment opportunities needed to guarantee jobs for all. Experts are also not convinced by the government’s claim. “To stop the exodus of Nepali workers, the government will need to create between 1,200 and 1,500 jobs per day. But today’s reality is that the country is unable to create even 1,200 jobs per month,” Ganesh Gurung, an employment expert, told Republica. Under the program, unemployed people between the age of 18 and 59 years will be provided at least 100 days of employment per fiscal year. The Employment Information Centers set up recently in all local units will help match the listed unemployed citizens with the demand in the labor market, particularly in the development projects. This means that the government will primarily mobilize unemployed people in its development works and other public projects. Even Minister for Finance Yuba Raj Khatiwada speaking at the function indirectly pointed out that instead of solely relying on government-run projects for generating employment opportunities, the entire labor market should be mobilized. But the program does not appear to have involved the private sector, raising concerns about the effectiveness of the program. 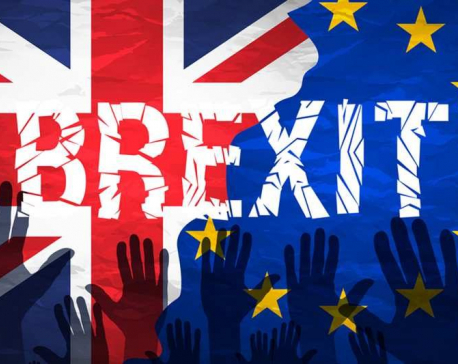 Some experts say that the unemployment allowance announced by the government could encourage many to rely on the government benefit. There is a risk that such allowance could be misused, they warn. Gurung expressed concerns that the program could meet the similar fate as the Karnali Employment Program. “Many people faking unemployment misused the government program. Therefore, the government should have a strong monitoring mechanism in place,” added Gurung. Lauding the government’s initiative to implement the constitutional provision to ensure employment, former labor secretary Purna Chandra Bhattarai said that the challenge now lies in linking minimum employment guarantee with skills development training. “The program should be employment-oriented, not allowance-oriented,” said Bhattarai. Through the program, the government will provide unemployment allowance to the family of those who do not have minimum employment. According to the government’s announcement, such family will get 50 percent of the 100 days’ minimum wage. However, Labor Minister Bista said that the program does not intend to only distribute allowances without creating employment opportunities. A person can get this allowance if not even a single member of his/her family has a job with minimum salary or no one in the family is self-employed or in foreign employment. Likewise, only a person who belongs to a family earning less than the minimum government ceiling can claim this allowance, according to the minister. 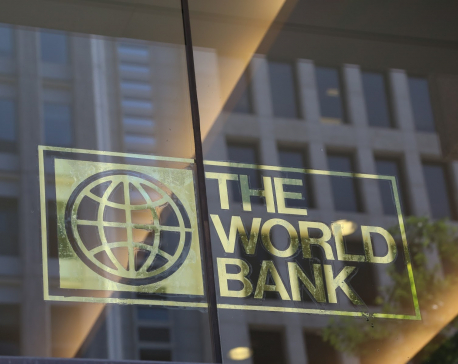 KATHMANDU, April 17: The World Bank has said that Nepal must create 240,000 jobs a year to maintain its employment rate.